Running a B2B store can be challenging as it generally involves more complicated purchase process. To streamline the ordering experience for B2B buyers, Magento merchants need a special approach. 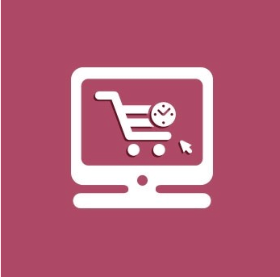 In this case, Quick Order is the must-have extension for any business looking to make purchasing in bulk faster and easier for their B2B clients. 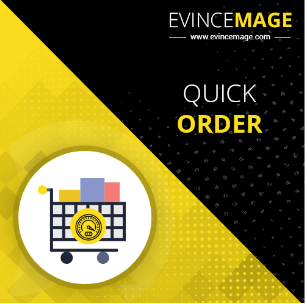 Fortunately, there are several options of Magento Quick Order extensions available for you as a store owner to choose from. Below we’ll suggest the best Quick Order extensions compatible with Magento 1 & 2 that promise to make high-volume purchases felt like a breeze. 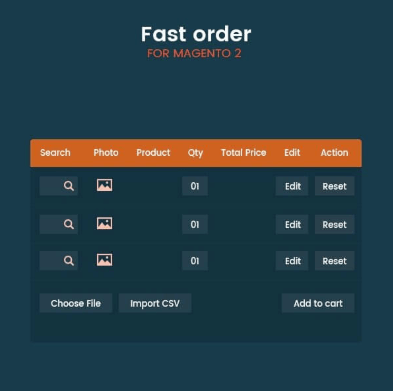 Developed by the Magento Select Extension Builder Bsscommerce, Wholesale Fast Order is great for online B2B business to become more professional. The extension offers an user-friendly way to order large quantities of known products. By adding a block on the cart page, it allows users to skip product detail pages and add products right to their cart with product SKUs or names. 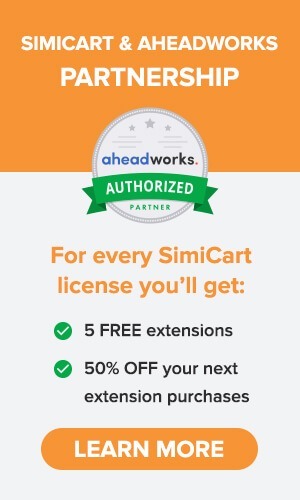 The extension is compatible with all product types, except for bundle products. Ajax search by product SKUs and names and auto-suggestion with product details such as names, images, prices.. 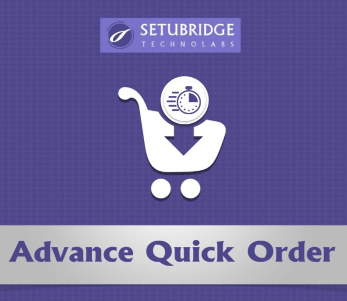 This Quick Order extension is created by the certified Magento developers from Magewares. The Premier Magento Extension Builder promises that the B2B must-have extension will help businesses delight their customers and increase sales with its hassle-free shopping experience. It saves their time in adding multiple products with desired quantities by just entering the part number and add items to their cart – all in one place. Auto suggest products based on the search keyword. Support simple and configurable products. Easily configure the number of product rows. Flexibility to change the number of characters needed for product auto suggest to work in the popup. With the focus on convenience and efficiency of bulk ordering for professional wholesalers, the Select Magento Extension Buider Mageplaza developed the Quick Order Extension for Magento 2. Within a few clicks, the extension allows wholesale buyers to add items in bulk to their cart and checkout more conveniently. Mageplaza Quick Order is claimed to be the comprehensive solution for B2B ecommerce store on Magento 2 platform to eliminate most cart abandonment. Instant Product Search: Users can type product name and easily pick an item among greatly accurate suggestions. Another option is to search by SKU, a product will be shown along with its name, image, atrributes to pick up. Bulk Add to cart: Search for products in large quantities and add all to cart by simply uploading a csv file, or enter multiple SKUs for users who had a well prepared list. 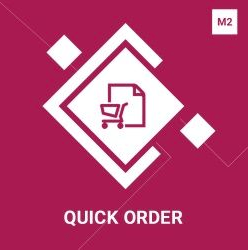 The Quick Order extension built by the Magento Professional Solution Partner is ideal for B2B ecommerce environment where customers have to deal with a large quantities of products. The extension facilitates customer need for a faster ordering system by providing the ability to add multiple products without having to navigate to all categories to find them. It best fits the frequently ordered items to allow for a quick and efficient bulk re-ordering process. 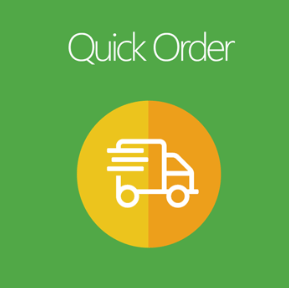 Search and order products from the quick order popup without navigating to other pages. Different products can be easily added using dynamic rows. Add multiple products quickly by specifying the SKU and the quantity of the products. Configure the number of rows to be displayed in the popup, which is used to order the products. Change the separator for SKU and quantity from the backend settings. Set the minimum number of characters needed for product auto suggest to work. Another great Quick Order extension is provided by MageDelight, a Magento Enterprise Solution Partner. The extension is built around the idea to smoothen the process of bulk product order by placing large order with minimum number of clicks. It supports all product types, allowing even guest users to access its quick order features. The extension is much useful for B2B sellers looking to improve shopping experience for their customers as wholesalers. Supports all product types: simple, configurable, bundled, grouped, downloadable, virtual product and simple product with custom options. Built by the Premier Magento Extension Builder, the extension aims at assisting customers to place large orders online more conveniently. This feature rich extension can boost online experience for wholesalers by providing them services that save their time, money and energy. 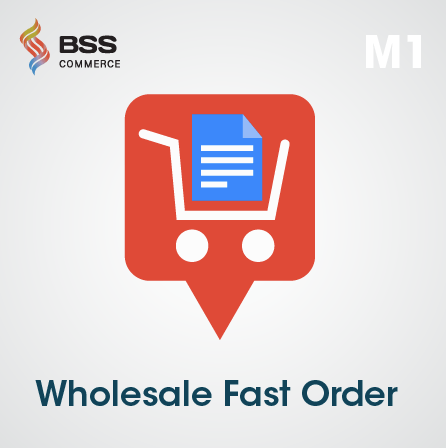 The wholesale Fast Order extension is perfect to offer an useful option for customers to add multiple items to their cart quickly and easily. Admin can set Fast order option for Particular Customer group. Limit Search result from backend to make better search. 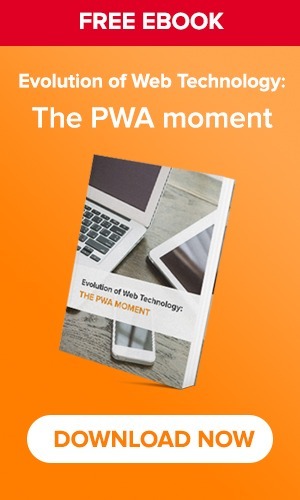 To provide an improved ordering experience for all users, the extension adds a quick order popup that is accessible from all pages. Using this extension, Magento merchants will be able to help their customers find several products of their choice without browsing through categories or product detail pages. 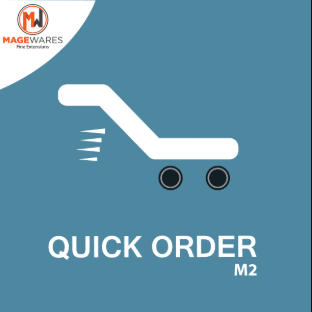 The Advance Quick Order is especially designed to minimize the number of steps to place wholesale bulk orders for B2B customers. The extension adds a simple way to add products with an autocomplete search box. Its autosuggestion allows users to pick up items instantly and add all to cart with one click. 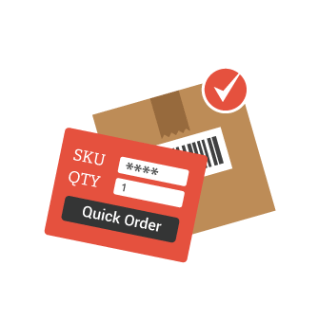 With the help of Quick Order extension, customers will be able to add multiple products along with required quantities in a fast and efficient way. It reduces the multi-step order process for users who have the product name or sku of which they want to purchase. Signed in customers or guests can use quick order from the link located at the top of any page to search and place orders without navigating to other pages. Customers can order all types of products. Add multiple products quickly by specifying the SKU and the quantity of the products in a text area. Admin can change the number of results needed for product auto suggest to work for the search.